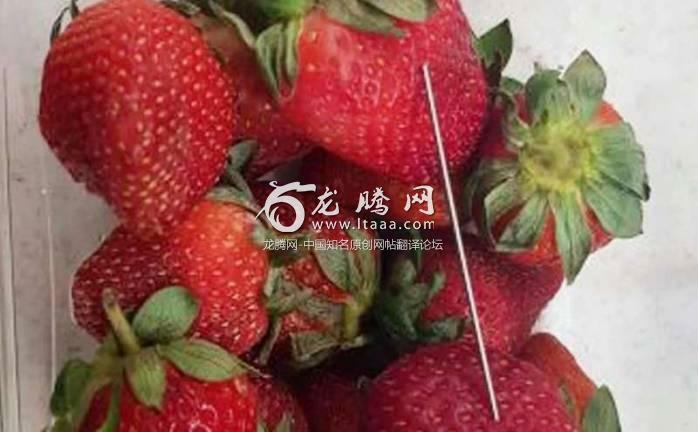 The tainting of supermarket strawberries withsewing needles is comparable to “terrorism”, Australia’s prime minister saidWednesday, as he demanded tougher sentencing in response to a nationwide scare. UrgingAustralians to make a strawberry pavlova this weekend to help strugglingfarmers, Scott Morrison demanded a change in the law to put the perpetratorsbehind bars for 15 years. “Just go back to buying strawberries like you used to, and takethe precautions that you should,” Morrison told Australians in a televisedaddress. “Make a pav this weekend and put strawberries on it,” hesuggested. Authorities have suggested strawberries be cut up before theyare eaten. Australian police said they still did not know the motive behindthe attacks and were still looking for suspects. The needles, originally found in strawberries produced from onesupplier in the northern state of Queensland, are now turning up around thecountry. Previouscontamination cases in Australia have led to arrests, but not convictions. In 2000, a man was accused of lacing paracetamol tablets withstrychnine, prompting the tablets to be recalled nationwide. The suspect diedin jail before being tried. Dig it out forchrist sake!